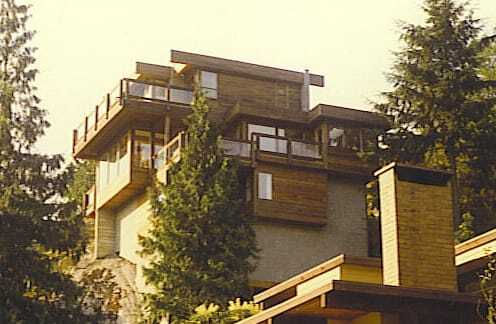 Skoe House, Deep Cove, North Vancouver, B.C. 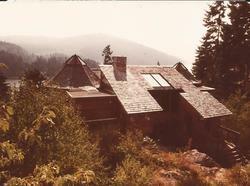 Holtsi Residence, Deep Cove, North Vancouver, B.C. 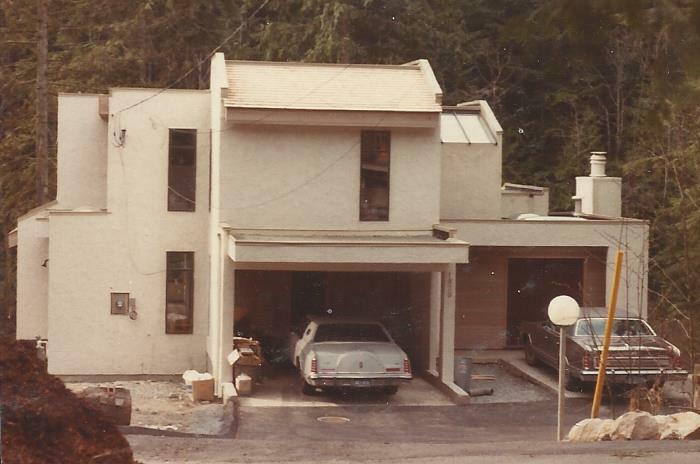 I did not design this house but it was my first house to build. It was designed by former architecture classmates who had disbanded. 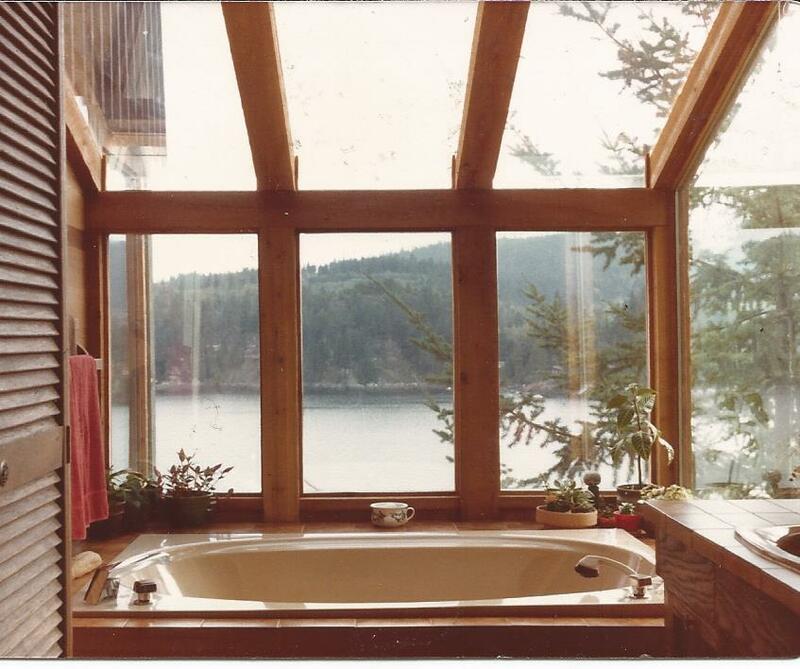 As a relatively new carpenter trained in the basics, I came across several new challenges and had to invent ways of doing things as well as changing the design. Reimchen House. 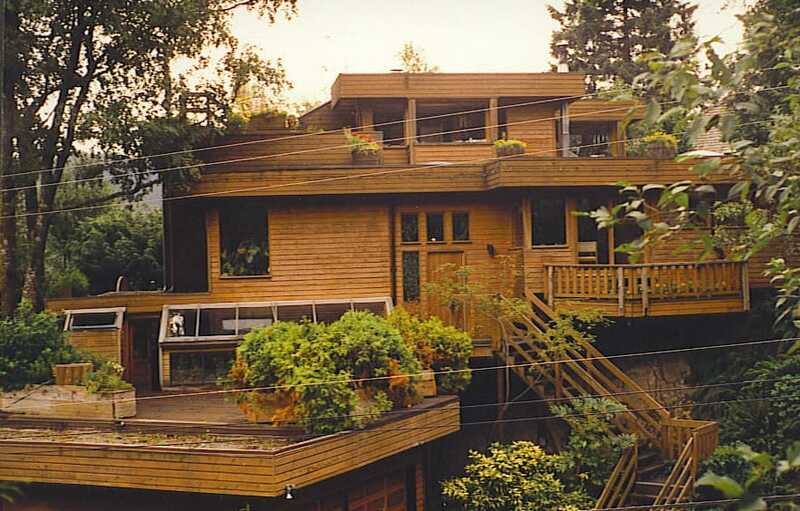 Had to be designed with view clearance restrictions from the house behind. 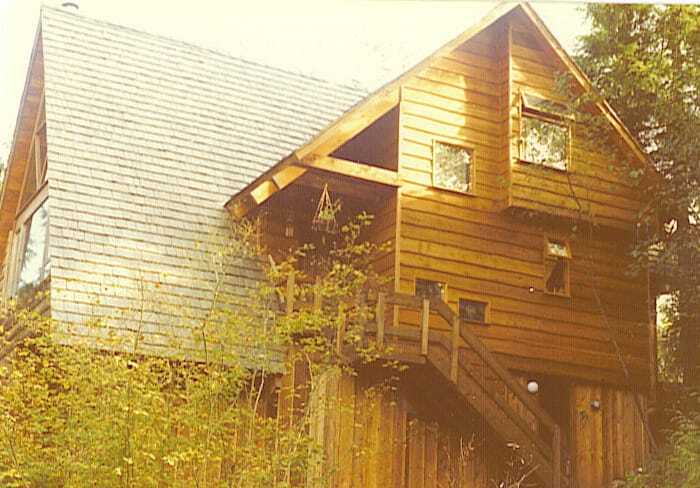 Special features included indoor swimming pool and tropical garden, barn boards from the owner's childhood. They are still living there after 40 years. 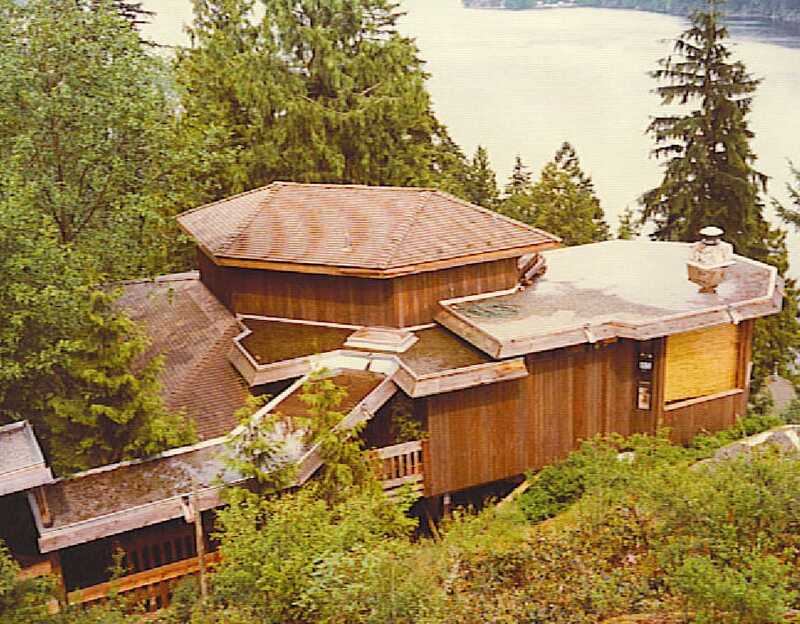 Smith House Deep Cove, North Vancouver with no foundation but 36 posts drilled into the side of a cliff. The walkway from the garage was spanned over stumps dumped from logging decades earlier. Seven levels. After moving in relatives from the Prairies got very nervous with the slight jiggling of the house and we came back and did some concrete bracing. The owner being a pilot had no problems with it. In fact the office on the top was called the "cockpit". It is so high that an eagle glided in through the window and we had quite a mess to clean up.